Spring Lake bed and breakfast travel guide for romantic, historic and adventure b&b's. 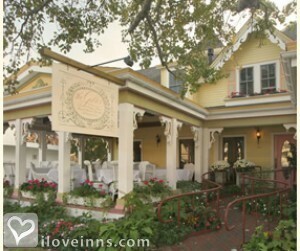 Browse through the iLoveInns.com database of Spring Lake, New Jersey bed and breakfasts and country inns to find detailed listings that include room rates, special deals and area activities. You can click on the 'check rates and availability' button to contact the innkeeper. Spring Lake is one of the top 12 best cities in NJ by NJ Monthly Magazine (2013). Home to New Jersey's longest 2 mile private boardwalk, Spring Lake offers two parks, a spring fed lake, and beautiful Victorian era mansions overlooking it's pristine beaches. Previous 1 / 8NextWord of mouth is the way most people first hear about Spring Lake, a small beach resort town where visitors can return to the gracious age of elegance and sophistication. A summer getaway for barons of industry in the mid 1800s, this small community has retained much of the exclusive aura of its Victorian heyday. Simple pleasures await in the form of two miles of sparkling beach, fine dining (try the seafood at Island Palm Grill) and deep relaxation. (If you need the bright lights of big boardwalks, Asbury Park is just five minutes away.) 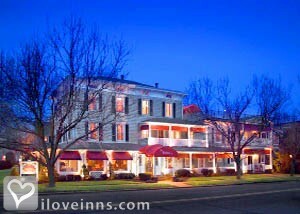 Spend a night or more in one of the dozen charming properties that make up the Historic Inns of Spring Lake. All were built between 1870 and 1888. Then head to the boardwalk -- a pristine and peaceful promenade without any neon, bells or whistles. Don't miss:� Spring Lake Historical Society (423 Warren Ave.), for more about the town's Victorian history. � The Authors and Inns Tour, held every May. � St. Patrick's Day Parade on the "Irish Riviera." Nature lovers:Even though this is a beach town, don't miss fresh-water Spring Lake, fed by the numerous springs for which it is named and its surrounding park. The trout-stocked lake is a popular fishing spot. Supplement by visitnj.org/spring-lak By Chateau Inn and Suites. Spring Lake is widely considered to be a gem of the Jersey Shore. Regarded as the Irish Riviera, Spring Lake is home to majestic Victorian homes and New Jersey's longest private non-commercial boardwalk. By Chateau Inn and Suites. Spring Lake is a quaint Victorian Seaside Village that offers year-round travelers an upscale vacation destination. Stroll down Spring Lake streets lined with ancient sycamores to see the 1800's era homes on your way to one of the parks, the lake or the beach. Stop by Main Street in Spring Lake to explore some of the Village's boutique shopping or to dine at one of the Bistro's. Turn back the clocks as you relax in beautiful Spring Lake and walk along its two mile beach. Spring Lake bed and breakfasts are varied and beautiful. By Chateau Inn and Suites.